M.P. & G.B. – Could you tell us about the origin of the expression “dance musicians” in Outsiders1? What did it mean at the time? H.S.B. 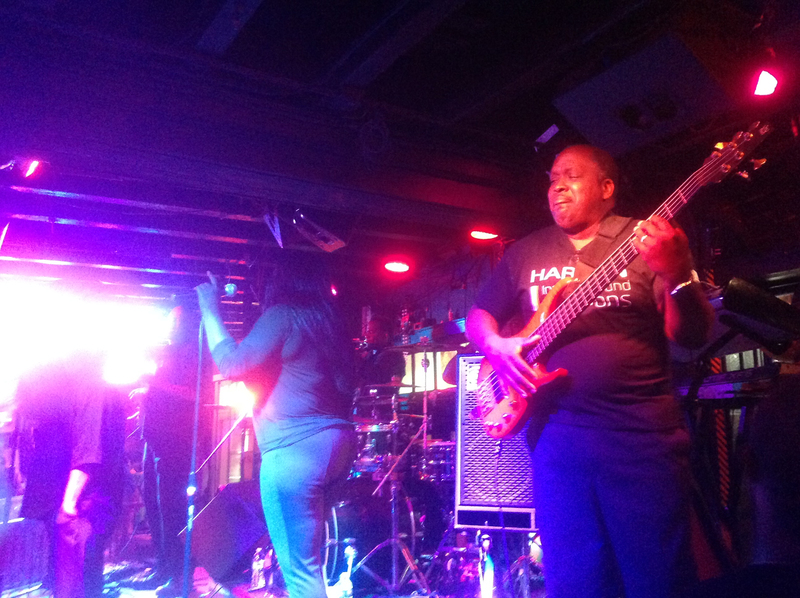 – The reason I added the adjective “dance” to the noun “musicians” was to distinguish the people I was talking about from other kinds of musicians playing in other organized settings at the same period. Who were these others? I think I was probably quite aware of at least the following specialized groups who were in the musicians’ union but were not “my kind of people”: players in the Chicago Symphony and similar “classical” organizations; players who had steady jobs playing for the five-a-day vaudeville shows current at the time in the city centre movie houses (and the one such theatre in the black neighborhood); members of the house bands in local radio stations (each major network’s local station had such a house band that played whatever needed to be played). What distinguished these players was having jobs that were permanent in some way, jobs that required specialized skills (especially reading scores at sight, sort of like Faulkner’s studio musicians2). Was there a kind of porosity between the worlds of dance musicians and people from the Chicago Symphony or people playing in vaudeville shows? That didn’t happen much in Chicago. The symphony players and the guys who played the vaudeville houses or radio stations (which had “house bands”), those were full time jobs in a big city like Chicago, and once you had one you kept it and that's what they did. In Kansas City, there were no vaudeville houses by the time I got there and the Symphony had a shorter season than a Big Orchestra like Chicago, so there was a porosity. Well, it was one way… symphony players sometimes or often played dance jobs. A number of players in the local symphony played dance gigs on weekends. It was always wind instrument players or percussionists, we didn’t use string players on dance jobs. But we [i.e. dance musicians] didn’t get hired to play with the symphony. Except—this is a funny story—on one occasion the Symphony had some name pop singer coming in to do the annual Katz Drug Store concert and they thought she’d bring her own piano player but she didn’t, and every other piano player in town was working that night so they hired me. And then when she heard about that she sent to LA for a trio to accompany her—so I got paid but didn’t perform. OK, you explained who the dance musicians were not, but could you tell us who they were? If you remove the symphony players and the guys who played the vaudeville houses or radio stations from the list of union members, this left the largest number of players, who were, at least in principle and probably in fact, ready for “whatever came up,” for jobs playing all the other kinds of occasions we know so well: parties, dances, entertaining in a bar or night club; and (very importantly) whatever else might be proposed to them. These people got their jobs when someone called them and asked some version of this question: “Are you working Saturday night?” If you said no, the caller would offer you a job for a night. But the question might be about several nights, or an open-ended engagement in a club or dance hall or whatever. If you accepted the job, the caller would say, for instance, “dark blue suit, red knit tie,” and give you an address to go to, a time to be there, and might add how many hours it would be, if it was a one night job. If it was for something more permanent, say an open-ended engagement in a bar, he would give more details, things like hours, days and money. Most musicians worked this way. In an interview3, you said that “dance musicians” of the ’50s are “ordinary musicians” today. Could you explain that? The “ordinary” label meant that you had the minimal set of skills such jobs would require: a repertoire of songs that “everyone knows” or should know, an ability to perform adequately enough for the occasion, ordinary social skills that would allow you to be an acceptable person to those who were hiring the band, etc. Could you develop on that repertoire issue? Jazz was, as we know, improvised variations on songs chosen from the repertoire everyone was supposed to know anyway, in styles that were likely not acceptable for the purpose the employer had in mind when he hired your band. Of course, occasionally that was what someone wanted but it wasn’t likely, so you always felt that you were “getting away with something” or “sneaking something in” when you got to improvise on an ordinary job. Of course, the repertoires and styles varied from job to job so some jobs might in fact be jazz jobs. I occasionally, for instance, worked with a “big band” (10-17 pieces with arrangements in the style of the famous jazz bands like Ellington, Goodman, Basie, Herman, etc.) but most jobs were not like that, which is what created the division [between “commercial” and “jazz” musicians—Editor’s note] I made so much of in my paper. Evidently, what constituted the pool of available jobs changed historically—for example, the bars that I played in for the most part no longer exist, nor do the Italian and Polish and Jewish weddings with their ethnically specialized musical repertoires, etc. They have been replaced by venues that require quite different kinds of skills and repertoire. You said that some musicians had steady, fulltime jobs, but not dance musicians. Does this mean dance musicians had daytime jobs? What did they do? Most of them had “day jobs” or went to school or had some other way of occupying their time and making a living. So most were otherwise occupied and worked mainly weekends for three- or four-hour dance jobs or weddings, etc. but perhaps in a club where you worked longer hours but only two or three nights a week. The day job was their main professional commitment. Did dance musicians commonly give lessons, making a living by teaching music? There were band teachers in high schools (there was a famous one in one of the black high schools, yes, they were segregated then), but I don’t remember knowing anyone I played with having a job like that. Most of the people I played with were pretty young and wouldn’t have jobs like that anyway. Did the musicians whom you played with consider themselves to be “artists”? As best I can remember, no one used the word “artist” to describe themselves. Everything was put in terms of playing jazz, which was the only kind of “art” they were personally involved in. They didn’t think of some larger category like artist that they shared with painters or actors or... You see? Were the dance musicians whom you knew at the time hoping for or dreaming of a better career? Had they thought about this at the beginning of their career? Did they still dream of it during their career, or did they quickly assume that success wouldn’t come? Depends how you define success, of course. For most of the guys I knew, getting hired by one of the big bands of the day (Harry James, Benny Goodman, etc.) would have been success, and at least two of my friends achieved this: Bill Russo who played with Stan Kenton’s band and also wrote arrangements for it, and Lee Konitz, who played with Claude Thornhill for a while and then other bands. Remember that there were really hardly any jazz clubs as such and the few that existed hired only travelling groups, made up of well-known (sort of) people who made records. There weren’t many places that hired such bands. And how did you live with that personally? I never thought I was a failure when I was playing these kinds of jobs all those years. I wasn’t doing it to be a successful jazz player. In fact, I had early decided that it was a terrible way to make a living. So I kept going to school and eventually had a PhD. but kept playing to make a little extra money and have fun and use my musical skills. You would not have liked to become a symphony player? I don’t think so because they were the most disillusioned musicians I've ever met. What made them disillusioned is that playing in a symphony is really boring, after a few years of playing the standard repertoire (which is what all but the very top orchestras essentially do); you’ve heard it all and there’s nothing new. Once in a while there’s something interesting but not often. Also, in Kansas City, they thought the conductor was a jerk, couldn’t keep time, got lost in the score and the players would have to rescue him, etc. In bigger cities, they can get involved in chamber groups etc. ; but once you leave the biggest places there’s not much of that. But it’s a world I hardly know. The most interesting places might be university music schools where more adventurous repertoire gets played and some symphony players do some teaching. Beyond the music worlds, do you think the idea of “ordinary artist” can be applied to other forms of art, considering that music is perhaps the art form which can be the best be turned into “ordinary service work” (all the animation/entertainment jobs at weddings, etc.)? The nearest I can think of in visual art is what’s called here an “illustrator” or “commercial artist” who produces whatever people need to have drawn (posters, illustrations for advertising, etc.) There’s plenty of that kind of work but, of course, there are always more would-be artists than there is work. The real way to put this question, I think, is to ask what kind of internal differentiation there is in the line of work you’re interested in studying and then ask how people distribute themselves among the positions available in that system. There’s a lot of semi-professional theater work, for instance. One of our4 favorite entertainments here is a theater company that performs what they call “forgotten musicals,” old musical comedies by great composers (Rodgers and Hart, Frank Loesser, etc.). They do four shows a year and they can always recruit excellent performers who sing, dance and act quite well. And there’s enough activity like that—many such companies doing theater, etc.—that all of these people can produce a long list of shows they’ve performed in locally and often elsewhere. Finally, what can we learn from the study of ordinary artists? They teach us that all art is, seriously speaking, real work. Only romantics want to talk as though it’s not work. 1 Becker Howard S. (1963). Outsiders: Studies in the Sociology of Deviance. New York, The Free Press of Glencoe. 4 With his wife, Dianne Hagaman (editor’s note). 2 Faulkner, Robert R. (1985). Hollywood Studio Musicians: Their Work and Careers in the Recording Industry. Lanham, New York, University Press of America. 3 Azais Camille, Bachir-Loopuyt Talia, Saint-Germier Pierre (2010). “Du jazz aux mouvements sociaux: le répertoire en action. Entretien avec Howard Becker.” Tracés. Revue de Sciences humaines, 18 : 223-236. 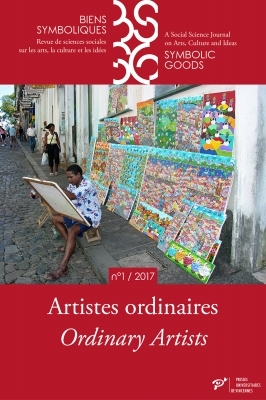 [On line] http://traces.revues.org/4625 [accessed on 16 june 2017].